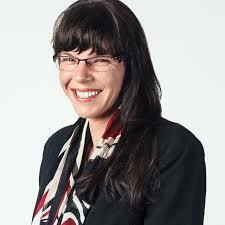 Inspired by Mayor Gregor Robertson’s leadership to join Vision Vancouver, Councillor Andrea Reimer was first elected to Vancouver City Council in 2008, and re-elected in 2011 and 2014. She had previously served as a School Board member with the Green Party from 2002–2005. As the lead councillor on the City’s award-winning Greenest City Action Plan, Councillor Reimer led efforts to make Vancouver a global leader in environmental action, validated by Vancouver being named the fourth greenest city on Earth in 2014. In 2013, she was awarded the Queen’s Jubilee medal in recognition of her leadership role on this initiative. Prior to being elected to City Council, Andrea was the executive director of the Wilderness Committee, a position she held for 10 years. In 2007, she was chosen to be trained by Al Gore to deliver his An Inconvenient Truth PowerPoint presentation to local audiences. She has served on the boards of many community organizations, including CCEC Credit Union, Your Local Farmer’s Market Society, Canadian Women Voters Congress, and the Vancouver Foundation Health and Social Development Committee.